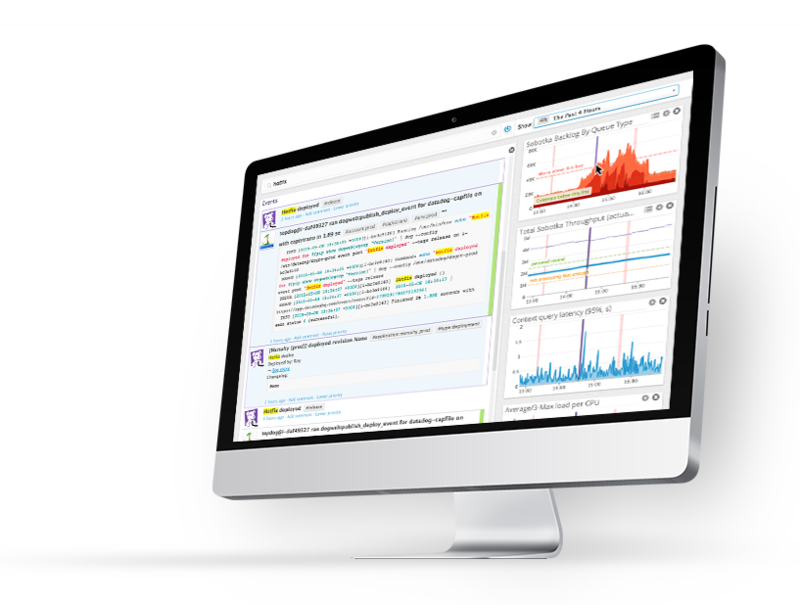 Datadog is an innovative SaaS-based monitoring and analytics platform for IT infrastructure, operations and development teams. It brings together data from servers, databases, applications, tools and services to present a unified view of the applications that run at scale in the cloud. Datadog’s platform is loved and trusted by thousands of enterprises, including Zendesk, Citrix, AirBNB, HP, PagerDuty, and Shopify. Datadog works seamlessly with over 100 turn-key integrations, allows teams to build real-time interactive dashboards, search and correlate metrics and events, collaborate in real-time, and offers alerts on critical issues. For a company that didn’t care so much for CPA so much as increasing market share and number of leads, it sure wasn’t showing a good effort at clearing the disorganized mess with which we found its digital marketing regime. Recognizing this, we were essentially charged to help Datadog increase market share and total volume of qualified leads, while generally maintaining the cost structure, with liberal allowance to ramp up budget and spend as necessary. Our first order of business was to clean up all the obvious inefficiencies in the account, the low hanging fruit optimizations. These measures included making appropriate positive and negative adjustments across segments, ad groups and keywords, day parts, geography and device types. We also closed up gaps or leaks produced by certain keywords by pausing egregious offenders that generated a lot of clicks and ate up a lot of cost, but drove very few conversions. For the obvious winners, we boosted their bids and therefore average ad positions substantially in order to consolidate our position in the “money” keywords. The negative keyword list in the shared library was bolstered substantially and applied across all of the active campaigns in order to eliminate waste on some obviously irrelevant queries, like those related to employment or customer service. Missing ad extensions were also rolled out in order to make the greatest use of AdWords’ allowable ad real estate. In the second phase, we worked on bringing the landing page up to par with modern practice and demanding user expectations. This meant creating a clean, intuitive, no-fuss, conversion optimized landing page that had as its central tenets: unambiguous communication of Datadog’s differentiators and benefits as well as easy of signing up new customers and capturing leads. This effort, combined with the tagging of all URLs with custom tracking parameters created a robust, end-to-end loop that allowed us convert, engage, and remarket to our users much more effectively. In the final phase, we launched completely new campaigns to supplement the modified legacy campaigns in order to capture additional traffic that fell between the cracks of the then extant keyword paradigm. In particular, we built completely new campaigns around individual technologies and integrations that enjoyed much lower than account-wide average CPAs, due to their specificity and relevance. On a whole, this represented tens of new campaigns, with scores of new ad groups and keywords under each one. We also worked closely with the Datadog marketing team to write up ads that were relevant and specific to each integration and technology, thereby ensuring optimal quality scores. Lastly, we reconfigured the existing remarking campaigns with new banners and increased our exposure throughout the Google Display Network with intelligently chosen placements that guaranteed a good return. Our first order of business was to clean up all the obvious inefficiencies in the account, the low hanging fruit optimizations. These measures included making appropriate positive and negative adjustments across segments, ad groups and keywords, day parts, geography and device types. In the second phase, we worked on bringing the landing page up to par with modern practice and demanding user expectations. This meant creating a clean, intuitive, no-fuss, conversion optimized landing page that had as its central tenets. In the final phase, we launched completely new campaigns to supplement the modified legacy campaigns in order to capture additional traffic that fell between the cracks of the then extant keyword paradigm. In particular, we built completely new campaigns around individual technologies and integrations that enjoyed much lower than account-wide average CPAs, due to their specificity and relevance. We also worked closely with the Datadog marketing team to write up ads that were relevant and specific to each integration and technology, thereby ensuring optimal quality scores. Lastly, we reconfigured the existing remarking campaigns with new banners and increased our exposure throughout the Google Display Network with intelligently chosen placements that guaranteed a good return. In the end, we were able to meet Datadog’s goals of increasing the volume of high quality leads while maintaining the same or better ROI. This of course means that budget and ad spend were increased dramatically, but the efficiency with which we converted leads stayed the same or improved, with a greater volume of leads overall. Additionally, the entire customer experience was improved end-to-end, or across the entire funnel, as the ad copy and landing page were substantially improved, and the follow-up via better tracking and remarketing also ensured that we were able to make the best use of our data, and re-engage an interested audience.